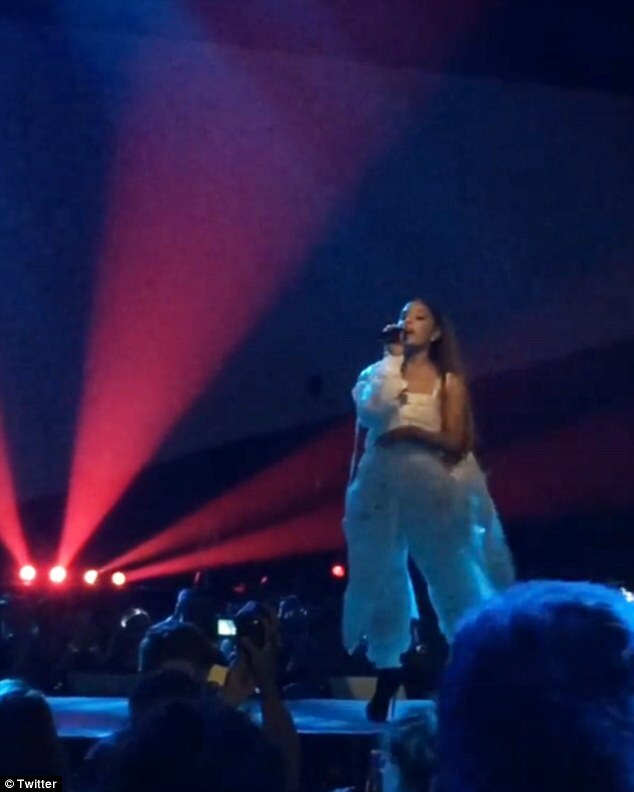 Eye-witnesses state Joan, flanked by Ariana's security team, had then escorted a large group of fans sat close the stage out of the concert hall and into to the dressing rooms. 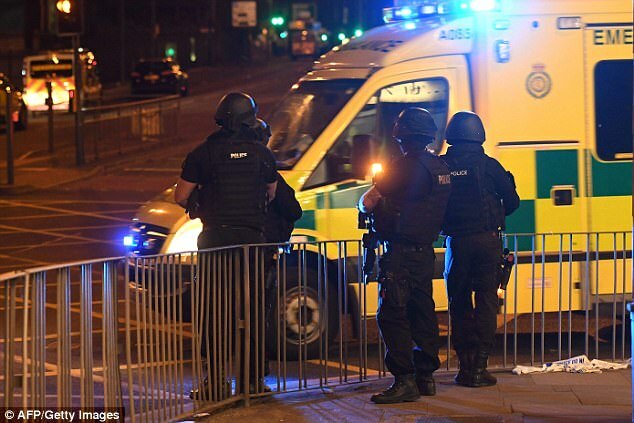 The news comes after Ariana's drummer spoke about the 'surreal' moment the singer and the rest of their band realised a bomb had detonated. 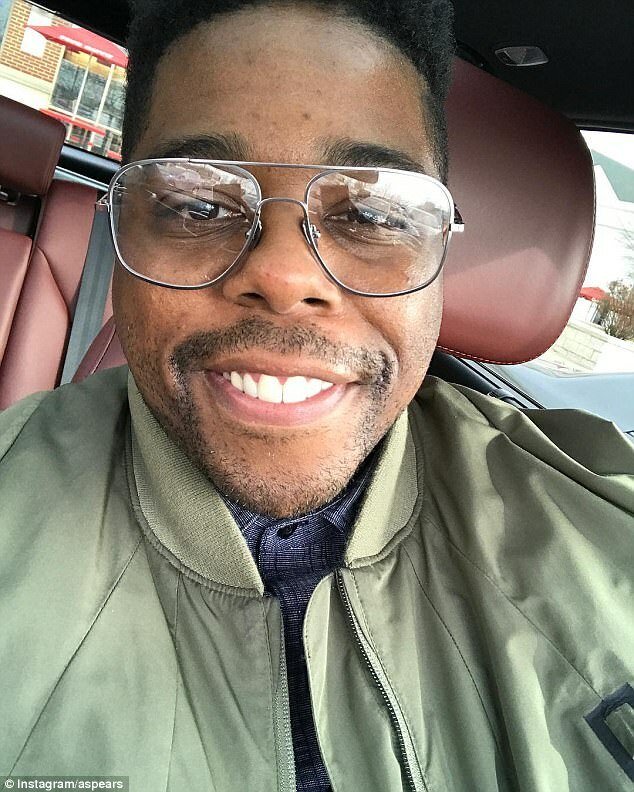 Aaron Spears detailed the first moments of the tragic incident to Fox News in Washington on Tuesday - which saw the musician discuss the 'heartbreaking' moment they realised it was an act of terror, in the presence of so many children. 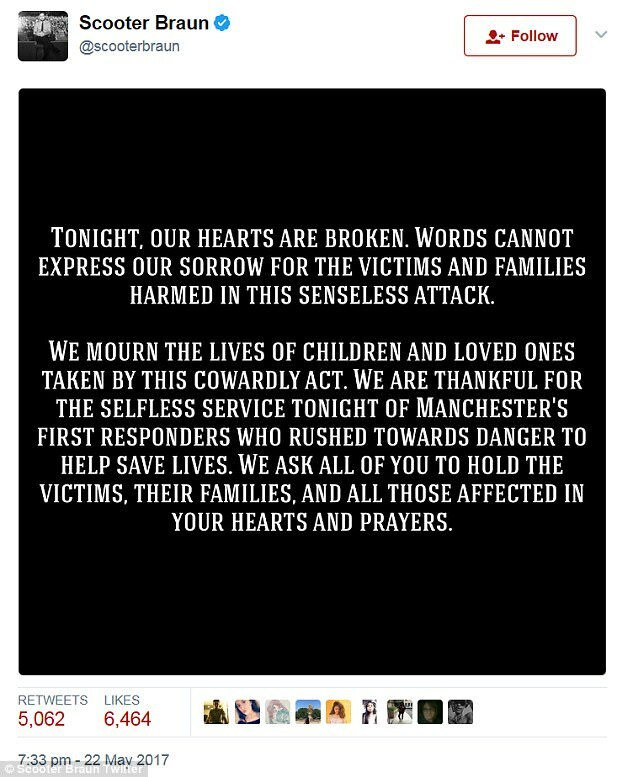 The drummer went on to confirm the band were all safe, but admitted that the 'painful memory will live with them all forever' in the message, posted to Twitter. Aaron, Ariana and the rest of their team had been on their way back to their dressing room when they heard the bomb go off, before they were evacuated in a matter of seconds after the 'surreal' moment. 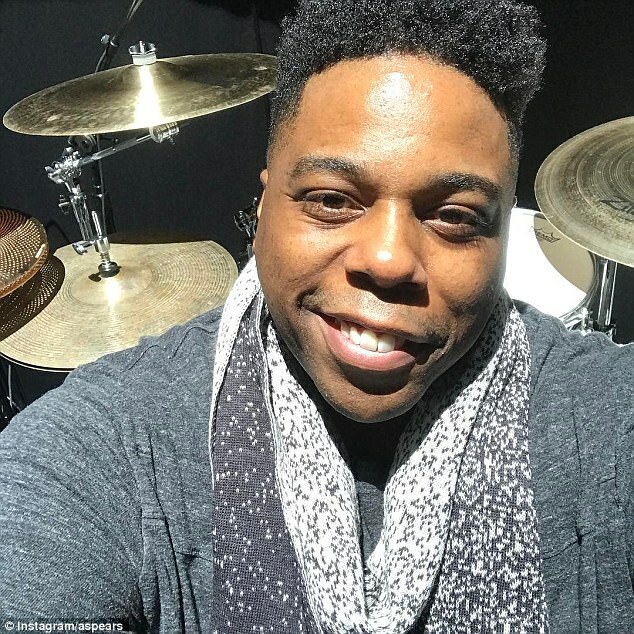 The drummer sent his account of tragic attack to journalist Steve Chenevey at the news network, who subsequently shared it on social media for fans to read. 'Like 5 minutes after getting to the room, security came in and informed us that we had to evacuate the building immediately. 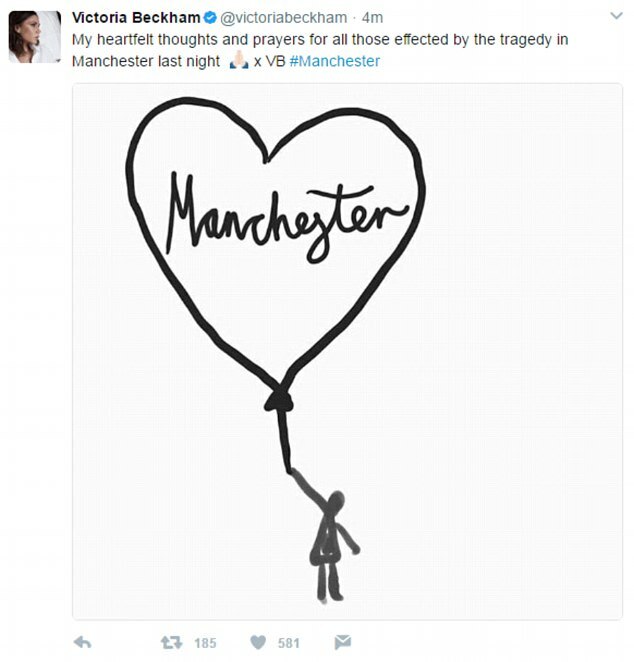 The drummer went on to pen the band's devastation upon hearing the news - as they were aware so many children and teenagers had been present at the gig. 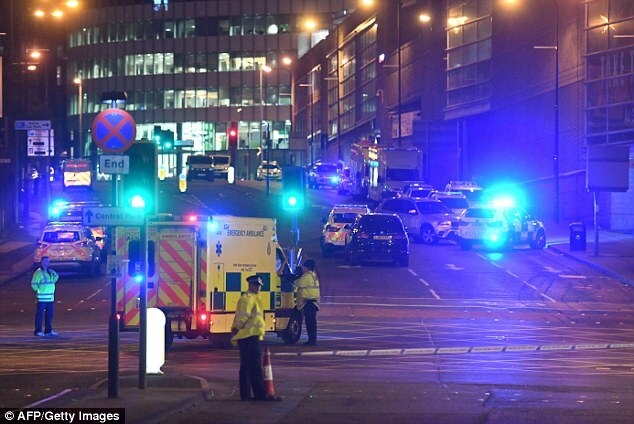 Aaron finished his statement by confirming to fans that the singer and the rest of the team escaped unharmed - but that they will forever be mentally scarred by the shocking attack, that has killed 22 and injured 119. 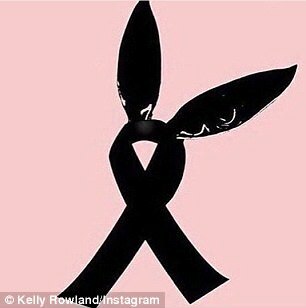 Ariana has remained silent on social media since telling fans she felt 'broken' and was 'so so sorry' following the attack at her concert on Monday. 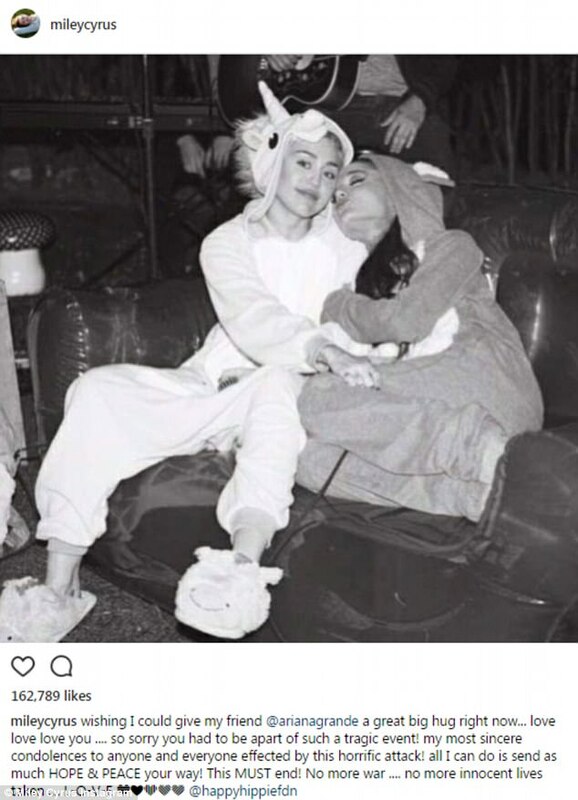 Ariana's manager, Scooter Braun, then added: 'Tonight, our hearts are broken. Words cannot express our sorrow for the victims and families harmed in this senseless attack. 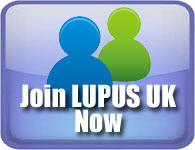 We mourn the lives of children and loved ones taken by this cowardly act. Ariana has since suspended the entire European leg of her The Dangerous Woman Tour, with TMZ reporting the singer is 'incapable' of performing her next planned date in London on Thursday night. 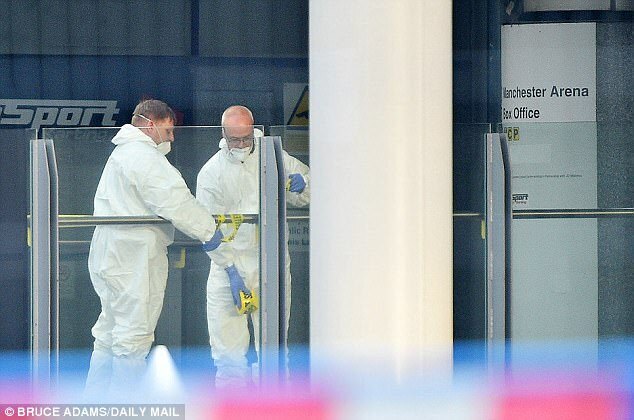 Organisers are said to be 'deeply concerned about security' in the wake of the attack. 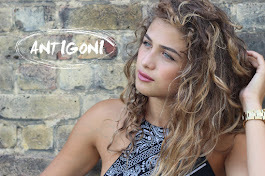 The singer was due to perform in England, Belgium, Poland, Germany and Switzerland over the coming weeks. 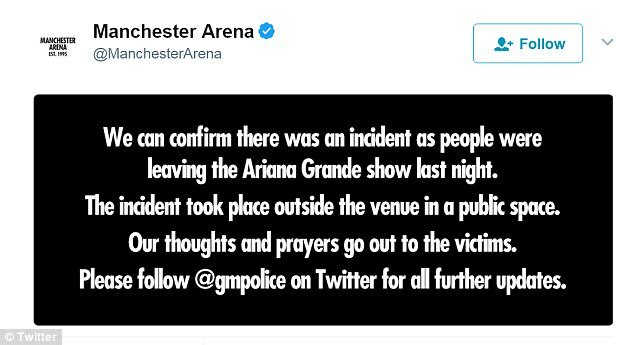 A father has told of the chilling last words Ariana told the crowd at Manchester Arena before the explosion went off. He told the BBC: 'Ariana said: "Bye bye Manchester!" The lights came on then there was two big noises and people started running and shouting. 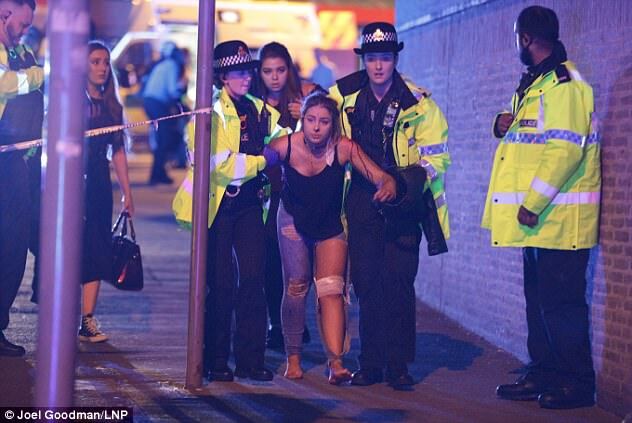 Concertgoers who witnessed the carnage said that at about 10:35pm, a pair of loud explosions were heard in the building. 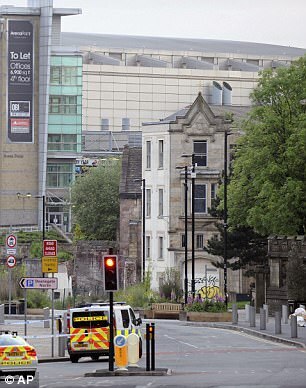 Manchester's Victoria station was evacuated, with all trains canceled following the incident. The explosion is Britain's deadliest attack since 52 people died in the July 7, 2005 terror attack on the London Underground. Responses were flooding in from international leaders. 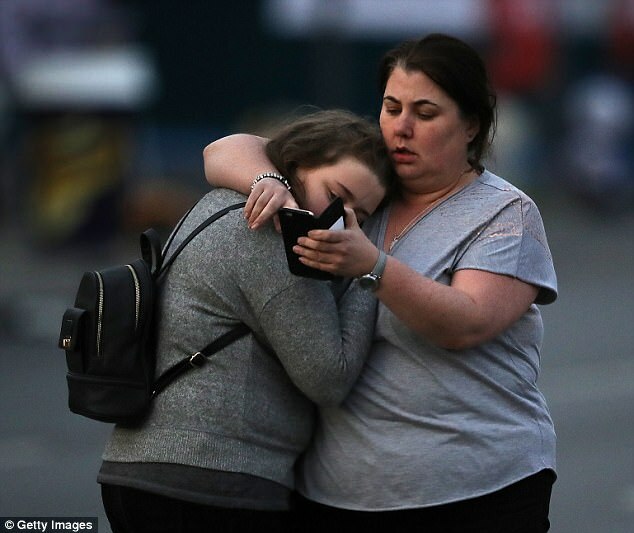 'This incident, this attack, is especially vile, especially criminal, especially horrific because it appears to have been deliberately directed at teenagers,' Australia Prime Minister Malcolm Turnbull said. Japan's chief cabinet secretary, Yoshihide Suga, said, 'I would like to express my heartfelt condolences to the victims and families of the deceased and my prayers to a swift recovery for the wounded. 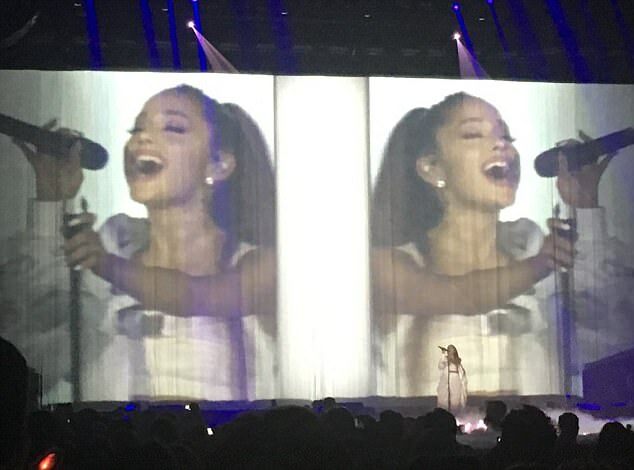 Grande's tour, her third time hitting the international concert circuit, kicked off with a February show in Phoenix. Further stops on her immediate concert trail included scheduled dates in Antwerp, Belgium; Lodz, Poland and Frankfurt, Germany. The tour was slated to extend through fall, wrapping up September 21 at Hong Kong's AsiaWorld–Arena. 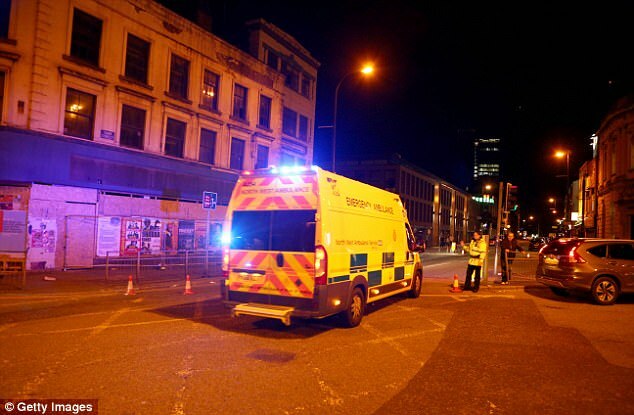 Now celebrities from the worlds of music, film and entertainment have passed on their condolences following the devastating incident which will hugely affect the way concerts are kept secure in UK in the future. 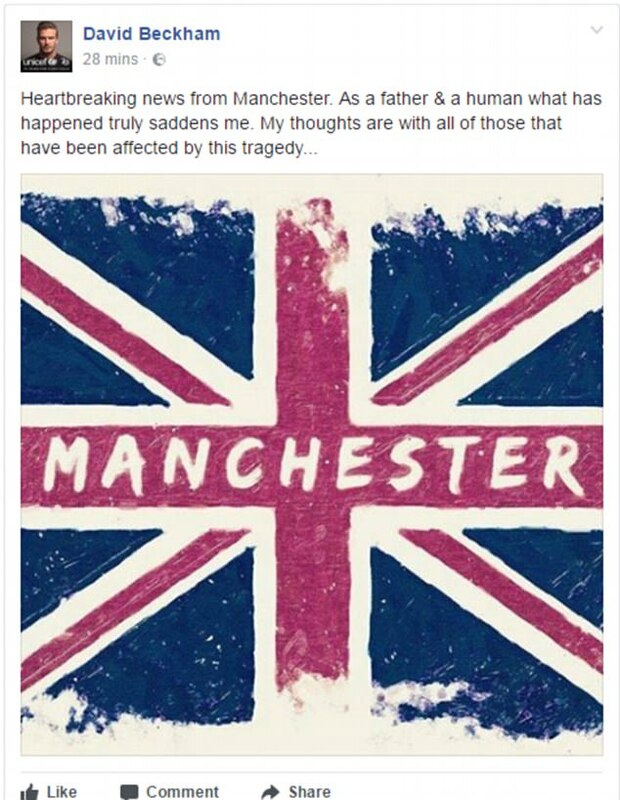 Former footballer David Beckham, who became a global sports superstar playing for Manchester United, posted on Facebook: 'Heartbreaking news from Manchester. 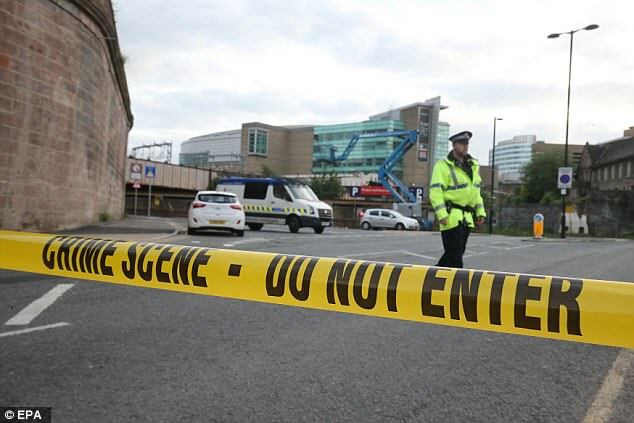 One of the world's biggest performers - Taylor Swift - who packs out arenas across the world revealed she had been left devastated by the attack. 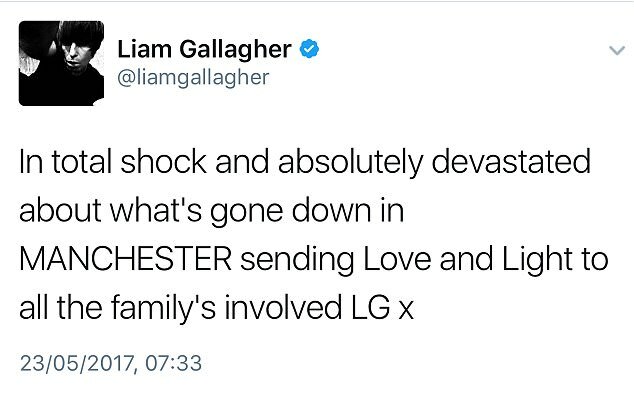 Many of the stars speaking out were from Manchester, one of the UK's most famous hubs for music. 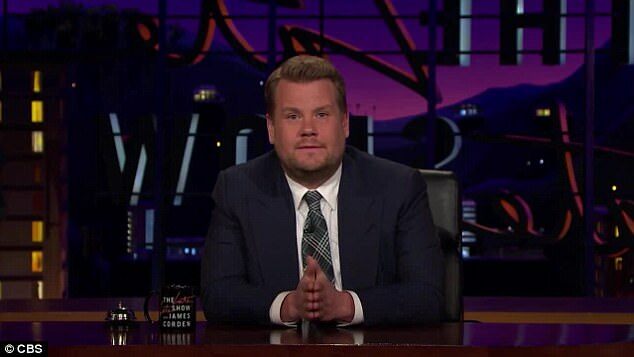 In the US, British chatshow host James Corden opened his The Late Late Show with an impassioned monologue paying his respects to those who had lost their lives while simply trying to watch their idol perform. 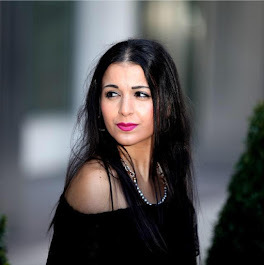 The fact a major US artist had been caught up in such an attack sent shockwaves through the American showbusiness world. 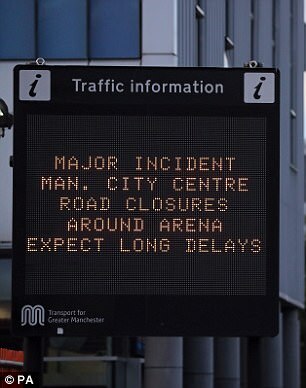 Greater Manchester Police said: 'Emergency services are currently responding to reports of an explosion at Manchester Arena. 'There are a number of confirmed fatalities and others injured. 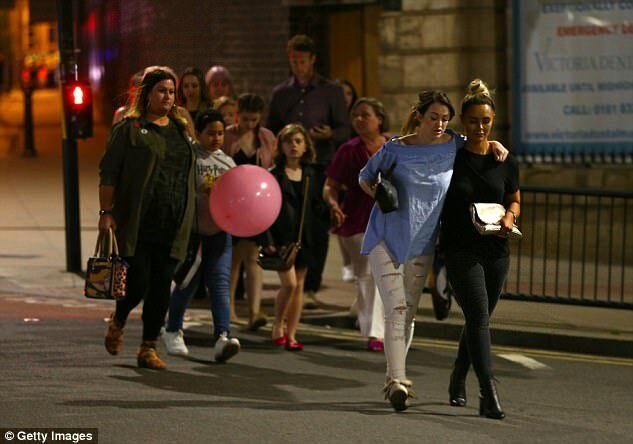 Panicked families also turned to social media in a desperate attempt to locate their loved ones after the explosion.